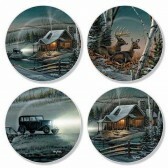 Perfect for decorating small spaces! 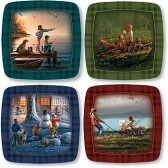 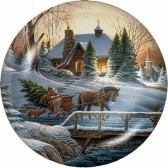 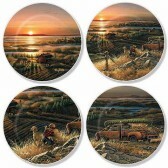 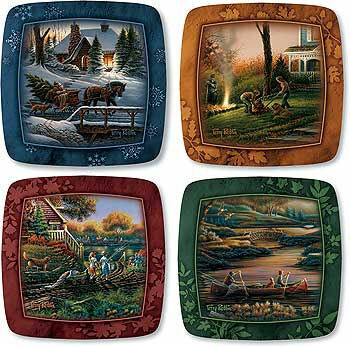 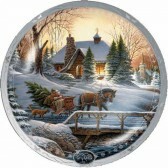 Set of 4 square ceramic plates featuring nostalgic family scenes by Terry Redlin. Each plate measures 4-1/2". 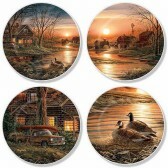 Set includes images off of "Aroma of Fall" - "Heading Home" - "Summer on the Greens" and "Good Morning America!"